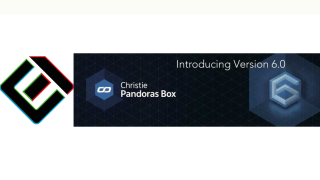 Theatrical Concepts has released Christie Pandoras Box 6.0 and Widget Designer 6.0. The Pandoras Box family of products leverages the latest in image processing and rendering technologies with advanced media and show control. New features like multi-user mode are designed to help operators combine their efforts for increased efficiency and collaboration. Theatrical Concepts will begin offering training on Version 6.0 starting January 10, 2017, at its training center in Agoura Hills, CA, and will expand classes to several other locations across the U.S. in the spring. Classes will fill up quickly, so contact training@theatrical.com for class information. Most licenses purchased after May 1, 2016 are eligible for a free upgrade to Version 6.0. In addition to multi-user mode for multiple simultaneous operators, improvements to Pandoras Box include editable live canvas for masking and painting; editable meshes for on-the-fly FFD and vertex warping; UV map adjustment within preview; pixel-based user interface for rapid content handling; 2D focused user interface, improving content interaction without interfering with the third dimension, ideal for image compositing and timeline programming; the ability to enable 3D render engine access with a single click in the preview window; and new preview interaction that allows all new modes and parameters to be used directly in the render engine. Improvements to the Widget Designer include a completely redesigned HTML5 user interface; native HTML front end, including CSS styles; availability of animation and transition support for all pages and widgets; new composite nodes, allowing the integration of node-systems into reusable custom nodes; workflow optimizations for greater efficiency; improved scripting language to further reduce production time; and optimized performance through 64-bit core and web-based components.